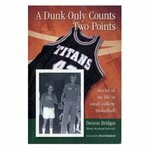 Dennie Bridges, Dennie, "A Dunk Only Counts Two Points" (2002). IWU Authors Bookshelf. 53.